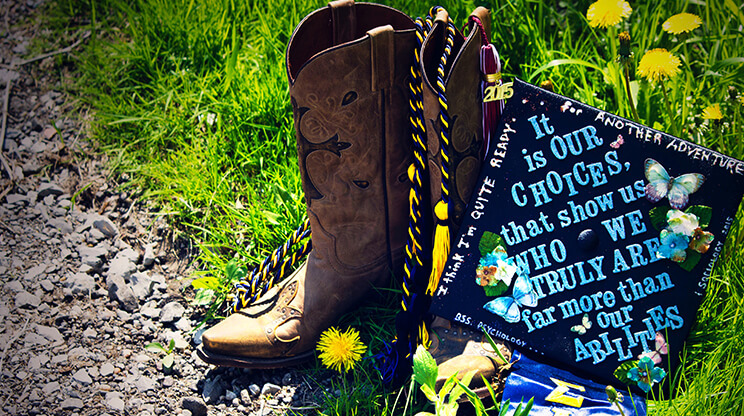 Your graduation cap is just one of the many things that you can customize when it comes to your graduation attire. 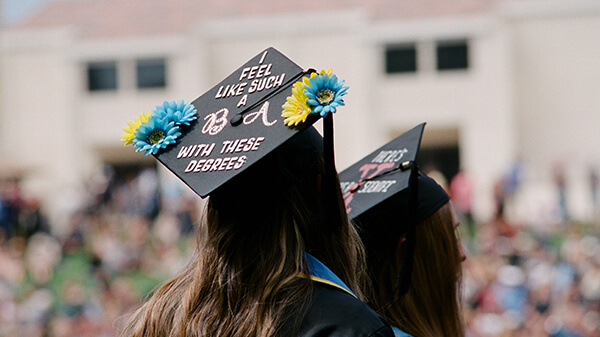 While you can’t customize your gown, many institutions allow you to decorate your grad cap in whatever way you choose. For those who don't allow you to decorate it for the ceremony, you can always decorate to hang in your room once the ceremony is over. Choose a design that fits your personality. 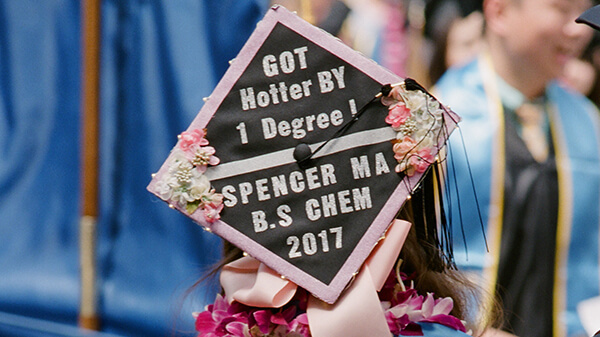 For some, this can be an inspiring quote while for others it may be something whimsical to help them celebrate their degree completion. The key is to start with a general idea and then gradually add to it, creating a design that is unique and special to you. Grab the craft supplies you will need to complete your project. You can choose pictures, glitter, foam letters, and shapes or any other type of material that will accentuate your design. You will also need to have some type of adhesive, either sticky tape or some form of glue. Some items, like foam letters, may already have an adhesive and for other materials you will want to use a glue that will dry clear without leaving any residue. Before putting anything on your cap, you will need to measure the surface area of your cap and arrange your design. This will prevent you from making mistakes while you are recreating the design on your cap. By measuring everything out and preparing your design ahead of time, you will know whether or not you have room for all of the things you want to include. Once you have your design laid out and have collected all of the necessary craft supplies, you can begin to apply the items to your graduation cap. Remove the tassel from your grad cap before applying the items. Take your time and allow each piece enough time to dry before trying to add anything new. By waiting between each addition, there is less risk of damaging the work you have already completed. Decorate your grad cap several days before graduation so that it has time to dry completely before you try it on. Don’t forget to reattach the tassel to your decorated grad cap. The tassel is an important part of graduation regalia. After the graduation ceremony, you can remove it from your grad cap and place it in a diploma frame with tassel. Your graduation cap should be something that represents who you are and how you feel about graduating. Take your time and create a design that you will be proud to show off during the graduation ceremony. 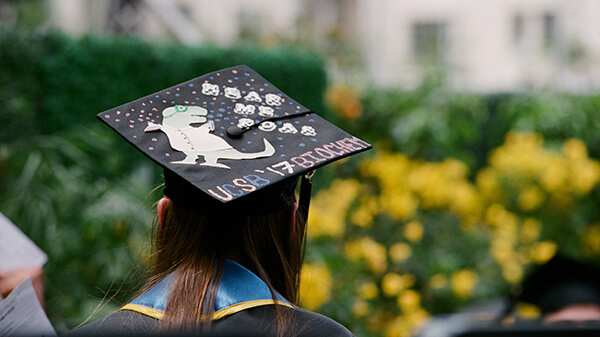 For more 'Graduation Cap Ideas' follow our Pinterest Board.